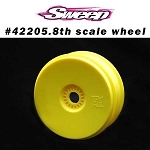 Sweep Racing USA CELLBLOCK 8th Scale buggy tires Yellow dot, BEST TRACTION! RUNS by CHAMPIONS! 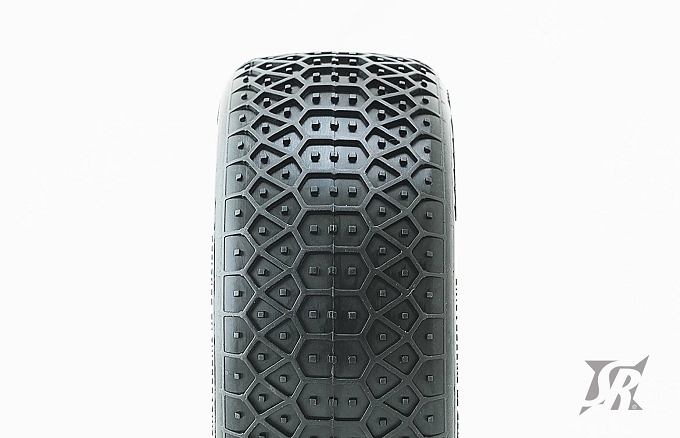 Absolutely love these tires. 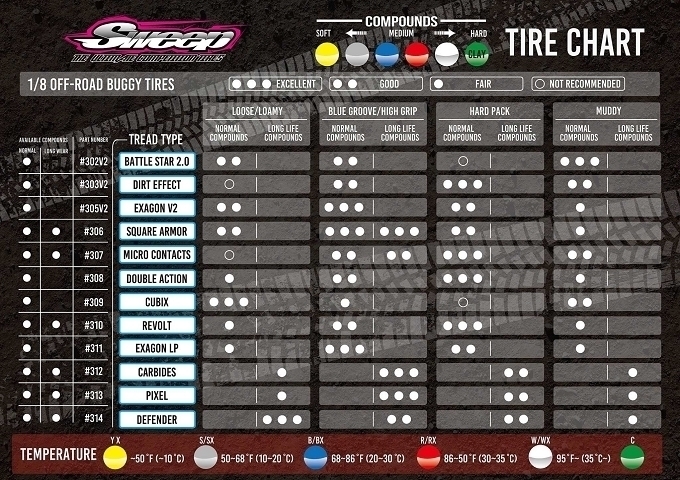 Running nitro buggy on super grippy indoor clay these tires hooked up like a dream. 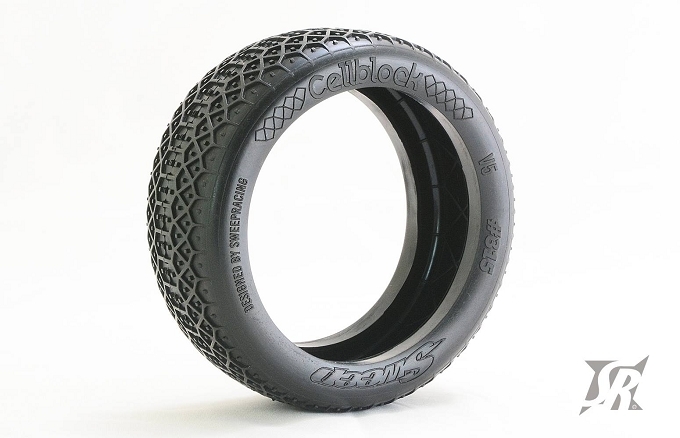 Was able to push my car in the mains with no fear of getting out of control with these tires stuck to the track like glue.